For our first week, we stayed at The Point at Poipu on the “sunny south shore” of Kauai. We’d been here once before several years ago and enjoyed it immensely – it’s placed right off the coastline, next to the Grand Hyatt (a DREAM of a resort) and with a full kitchen and laundry facility in our room, we could be mostly self-sufficient all week long. 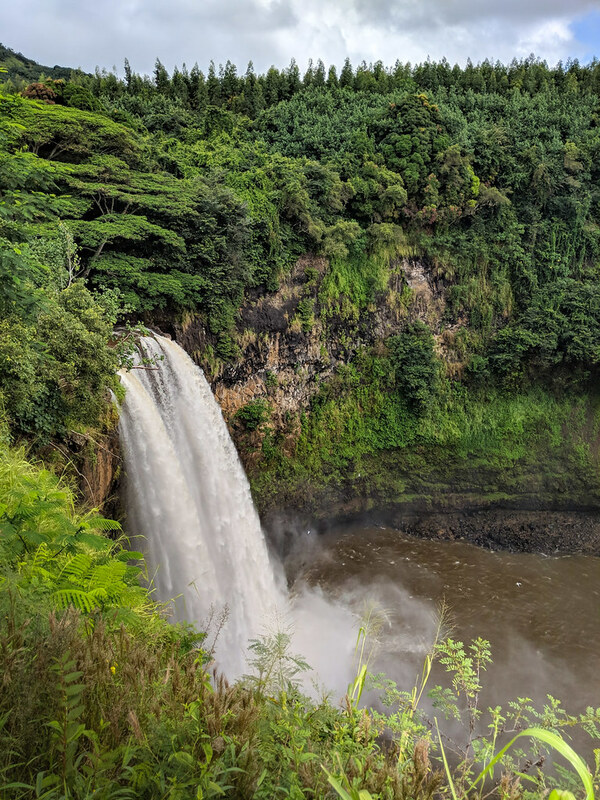 While the south end of the island isn’t quite as lush and botanical as the north side, it’s Kauai, so it’s obviously still beautiful. While staying on the south end, the wind and waves were pretty strong, which I believe is typical for the fall months. 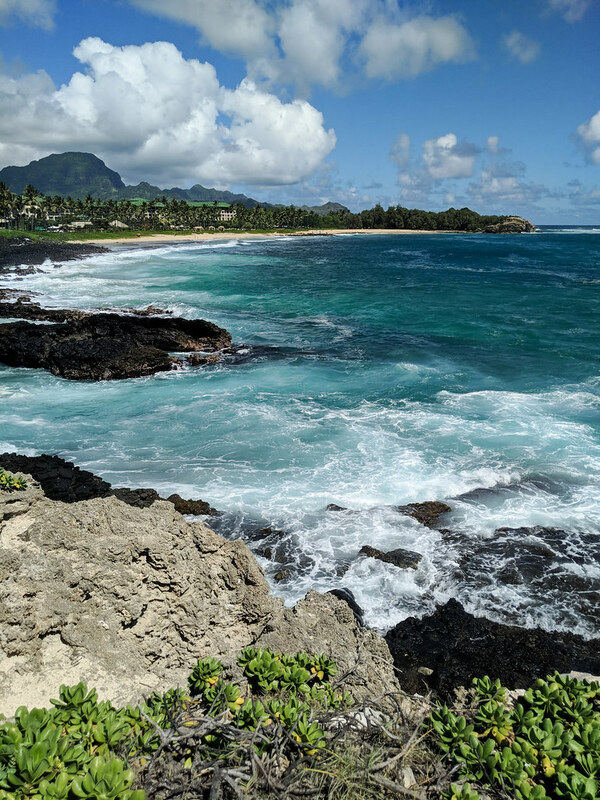 In any case, we still were able to enjoy the beaches, including Poipu Beach Park and Salt Pond Beach. 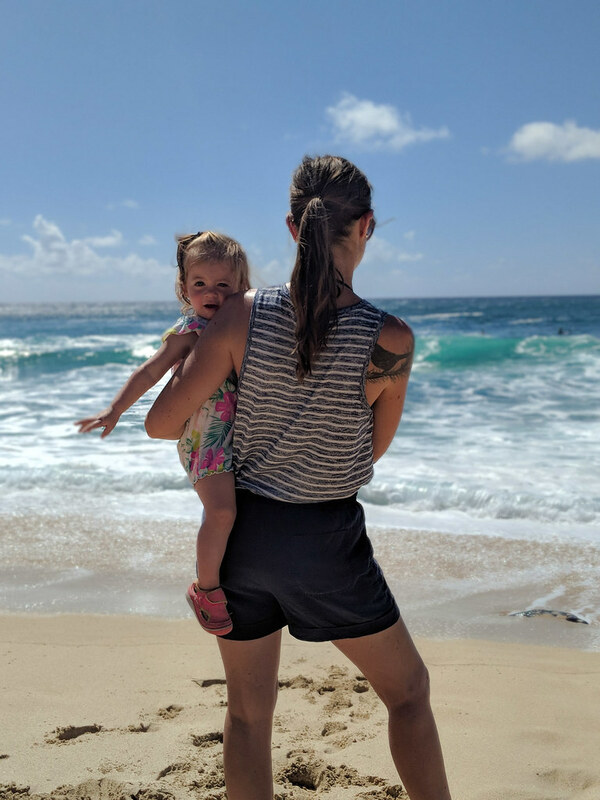 Poipu Beach Park – known as the “best beach in America” – can get pretty crowded due to its popularity, but it’s a great location for little ones thanks to the breakers near the shore, which protected us from the waves. We also got to see a monk seal sunbathing on a sandbar off in the distance, which was cool for the kids to see (and us, let’s be honest). Salt Pond Beach is known as more of a “locals” beach, and a lot of people were camping in tents on the grassy areas beyond the shoreline. The waves here were pretty rough that day, so we kept the kids out of the water and instead enjoyed a picnic lunch under a palm tree on the sand before leaving. I suspect that on calmer days, this is also a great beach to go to if you’re OK with the crowds. Otherwise, we kept it pretty low-key while staying in Poipu. 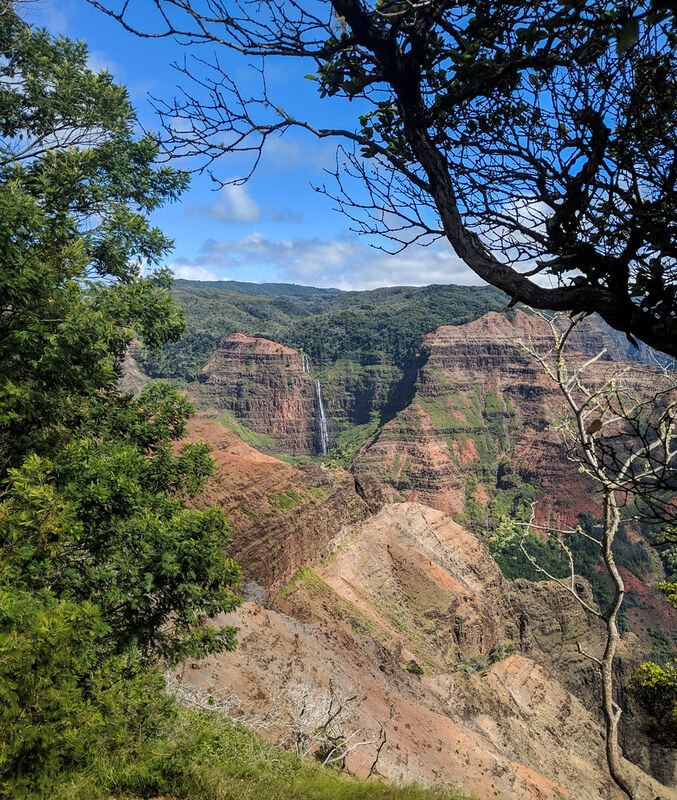 Our greatest excursion was a day trip to Waimea Canyon State Park, which we highly recommend. They call it the “Grand Canyon of the Pacific” and that’s pretty accurate. It’s breathtaking to see vast landscapes of colorful canyons, red dirt and waterfalls. A quick note about the red dirt: If you’re wearing light-colored clothing, be prepared to have it permanently stained! Addy’s shorts were wrecked after climbing around Red Dirt Falls, a small price to pay for a uniquely beautiful stop-off. 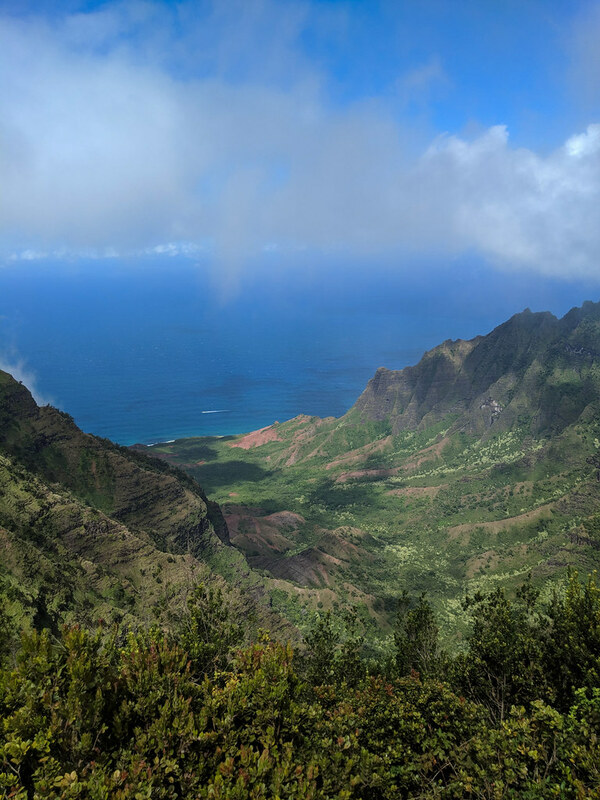 As we headed further into the park, we stopped at the Pu’u O Kila lookout for a stunning view of the Na Pali coastline. This is the clear highlight of the entire drive through Waimea Canyon. It’s a picturesque view and at some 4,000 feet in elevation, it’s one of the best ways to view the Na Pali coast by land. As far as food, we ate a lot in our condo but ventured out a few times – to Shrimp Station and Jojo’s Shave Ice in Waimea (I got a shave ice with lilikoi, guava and mango-flavored shave ice, haupia cream and macadamia nut ice cream, OMG), Keoki’s Paradise (get the kalo-crusted ahi and Hula Pie!) and one night, Elliott and I snuck off to the Grand Hyatt after the kids went to bed to get some drinks and tiramisushi, which basically is tiramisu shaped into sushi rolls. YUM. 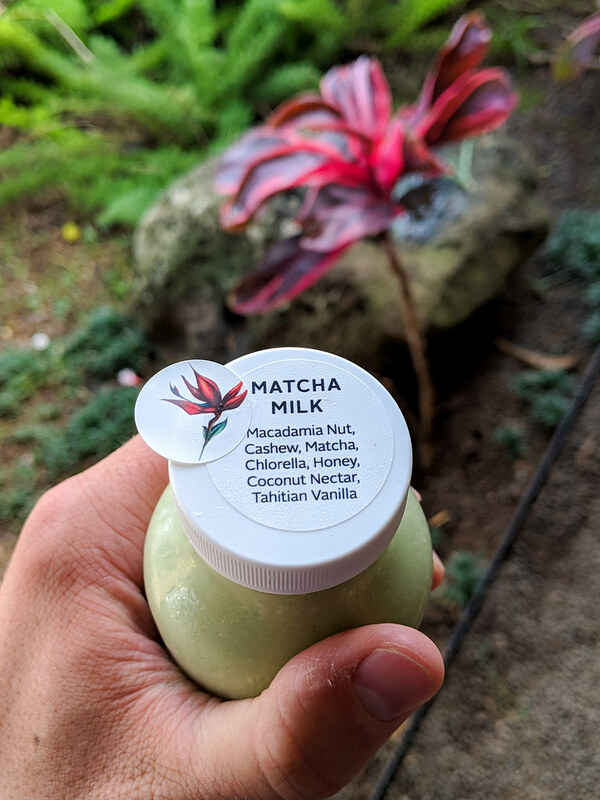 We also took a few trips to Kauai Juice Co., which is crazy expensive but worth every penny if you like trying fresh juices, on-tap kombuchas and cold brew coffee (which, we do. #hipster). 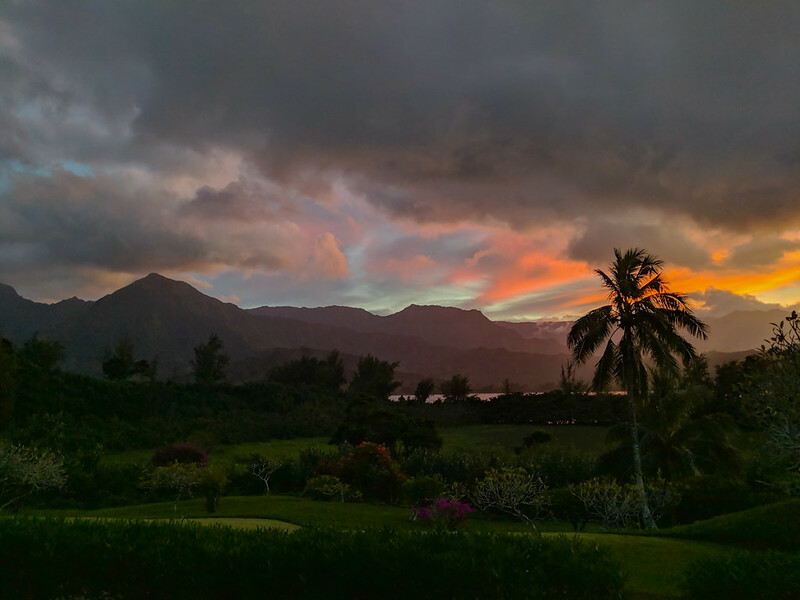 For the second week, we stayed at Hanalei Bay Resort right off Hanalei Bay on the north side of the island. Having never stayed on the north side before, I have to say it’s my new favorite part of the island. The scenery is unbeatable and the water was calmer overall while we were there. It might rain a little more often (I mean, it basically rains every day everywhere on the island at some point) but it just amplifies the lushness of the area. The back door of our condo overlooked the mountains behind the bay, and a short walk took us to the beach where we snorkeled among the shallow reefs right off the shore. The resort itself has both a restaurant and lounge, but the restaurant was closed for renovations while we were there so we got takeout from the Happy Talk Lounge for dinner a couple nights. Otherwise, as far as food, we took a few more trips to Kauai Juice Co. (obsessed) near Kilauea, made a jaunt back to the south shore one day for Puka Dog (Elliott loved it, I was meh about it) and had both dinner and breakfast at Kalypso in Hanalei (highly recommend the breakfast!). 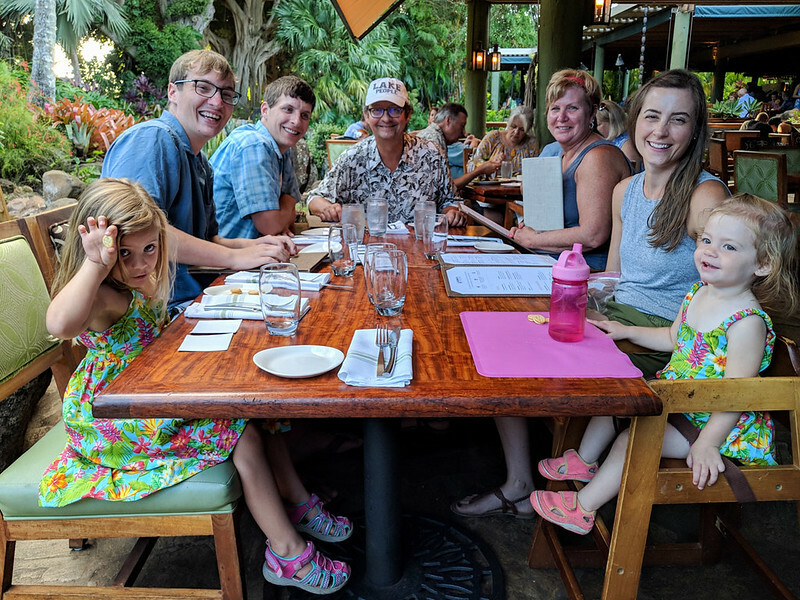 The most memorable meals on the north shore, however, were at Tahiti Nui in Hanalei and Makana Terrace at the St. Regis Resort in Hanalei/Princeville. We went to the weekly luau at Tahiti Nui because it was a cheaper option than almost anywhere else (luaus are crazy expensive!). Initially our bar of expectations was set fairly low because of the price, and once we showed up to the place and took a seat in a small banquet hall-style room, we sensed this event would be underwhelming. But then, they took us out to the backyard where the imu (a Hawaiian underground oven) was located. They uncovered a fall-off-the-bone, perfectly smoky, juicy and flavorful kalua pig, and it was so interesting to see the process. Back inside, we were treated to Mai Tais, fresh pineapple and purple sweet potato, and then a feast which included the kalua pork, macaroni salad, garlic bread and fresh fish. Sufficiently stuffed, we were then served dessert – pineapple upside-down cake, haupia cream (SO good) and coconut rice pudding. The show itself was amazing, and little Avery even went on stage at one point and stood front and center to learn the hula. She was beaming and did so well and everyone cheered her on and my proud mama heart burst into a million pieces. 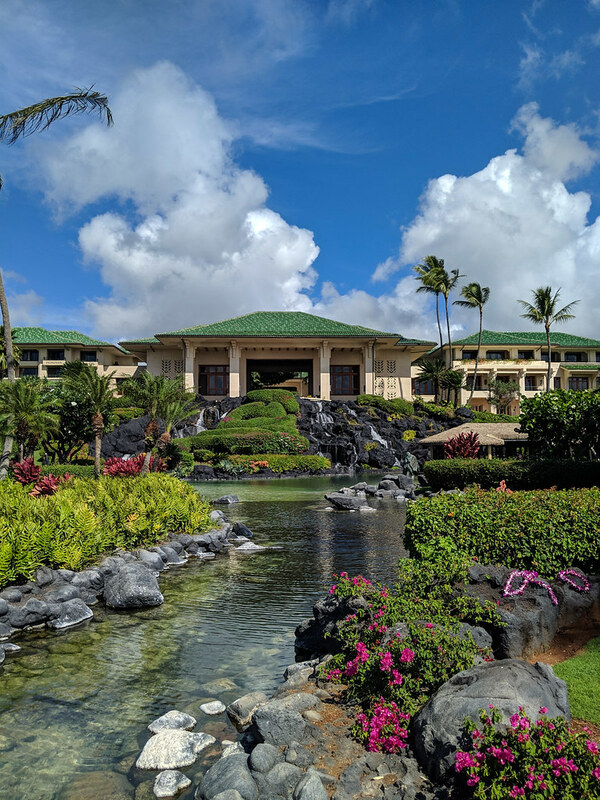 Our meal at Makana Terrace was equally remarkable, not only for the food (get the pork belly appetizer and the pan-seared ahi entrée, and wash it all down with a Hibiscus Negroni) but for the breathtaking view of the bay. We arrived right at sunset to watch the pink sun set over the gentle waves and it was the perfect ending to a trip we’ll never forget. 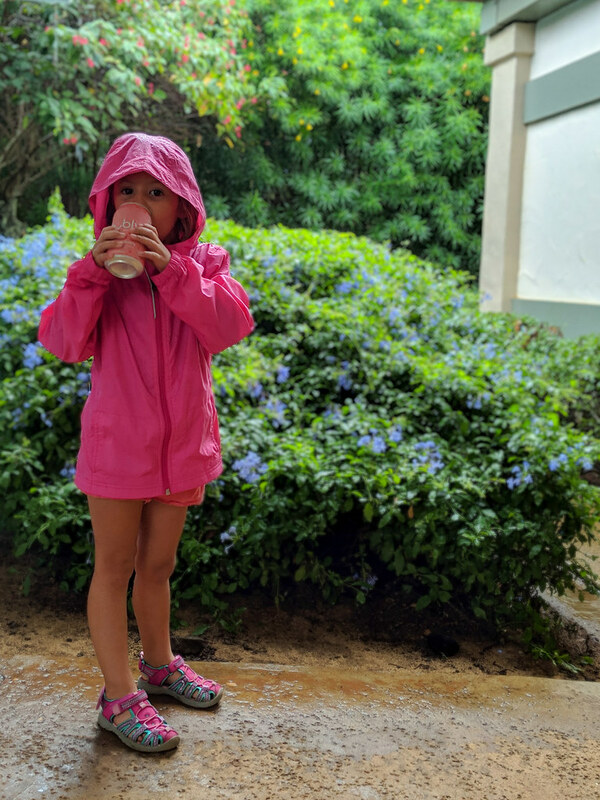 As far as activities on the north side, we really enjoyed our trips to Kilohana Plantation (which is more on the east side, but we stopped there on our way up north) and to the Kilauea Point Lighthouse. I had my first taste of furikake fries at Gaylord’s at Kilohana for lunch and I’m thoroughly on board with this idea. 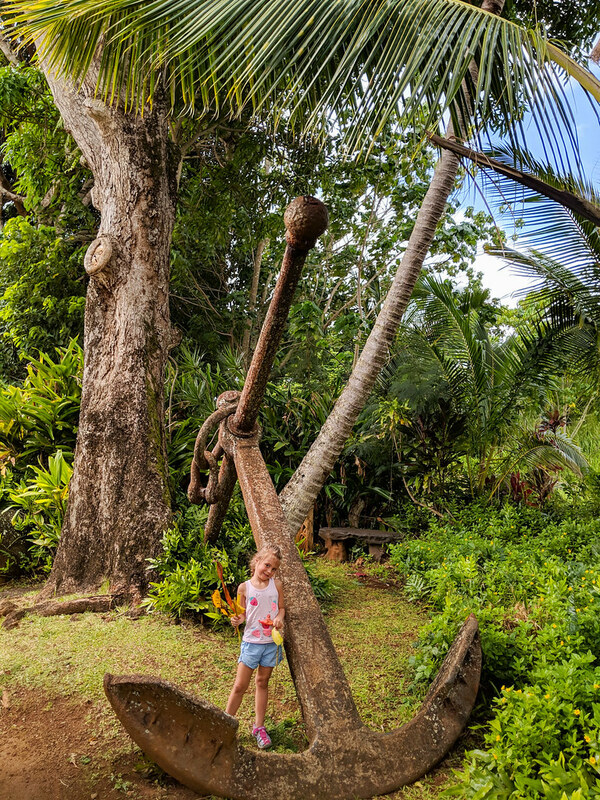 We didn’t take the train ride offered there, but we did explore the beautiful grounds a bit and, of course, stopped for a rum tasting at the Koloa Rum Company. 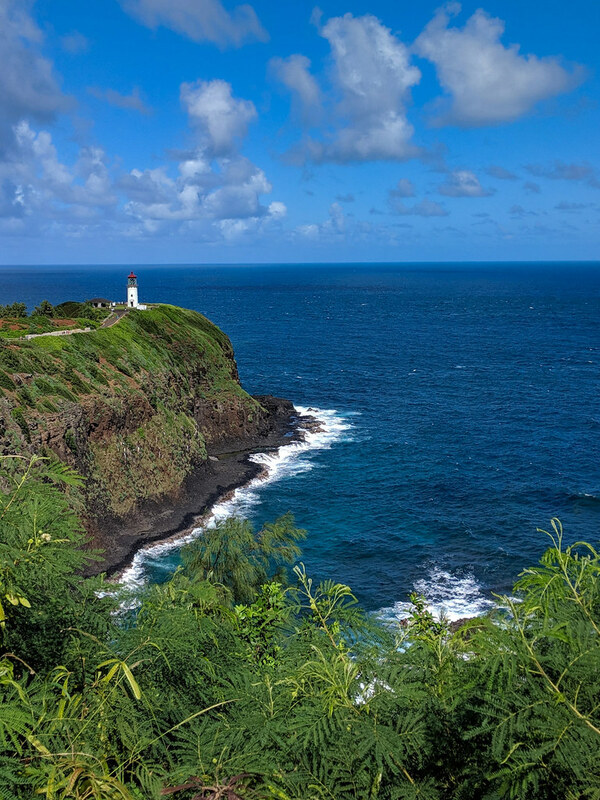 The lighthouse in Kilauea offers a beautiful view of the coast and if you go on the weekend, I believe they offer regular tours of the lighthouse itself (bonus: If you have a National Parks pass, you get onto the grounds for free). 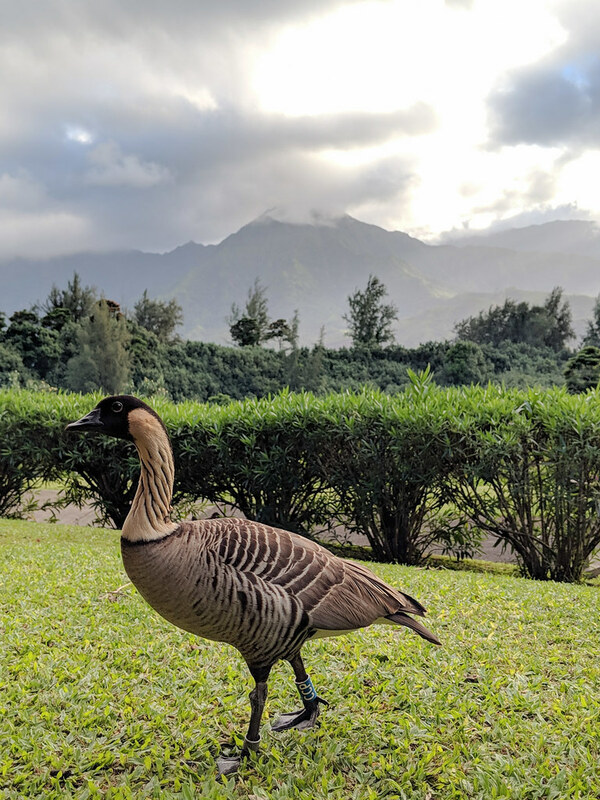 You also see the endangered nene geese up close and personal, though we had a few nene friends at our resort, too, who liked to hang out with us while we sat on the back porch (along with the chickens that are literally everywhere). There are so many details I’m likely missing, but that’s the gist of our epic vacation in a very large (coco)nutshell. As far as traveling with the little ones across time zones and with multiple long flights: It wasn’t easy. The first morning in Hawaii, they woke us up at 3:30 a.m., which was admittedly sucky, but at least we got to enjoy the sunrise together and they conked out by 5 p.m. that evening. Things evened out over the next couple of days and then everything was kosher. On the way home, we took a red-eye flight, and the girls slept most of the first leg and part of the second, which was awesome! Not so awesome: we didn’t sleep a wink, as I was holding Addy in my arms and Avery kept kicking Elliott in her half-sleep while she was trying to get comfortable sprawled across the seats in the plane. Thankfully, we all passed out from exhaustion when we finally made it home, and in a few days we were all back on schedule. 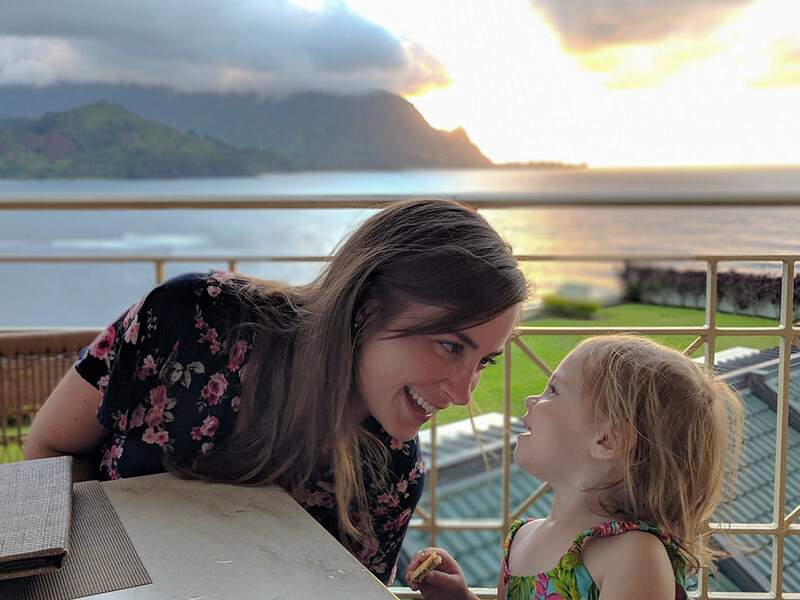 All in all, I would say traveling to Kauai, especially with little kids, is absolutely worth the trouble. There is no other place in the world like this place. Having now been here twice, I can confidently say it’s my favorite island (I’ve been to Maui and Oahu, and can’t wait to see the big island next!). There is something in the salty sea air of Kauai that calms you and heals you, leaves you feeling renewed in a way I have yet to experience anywhere else. And the girls just loved it. Addy loved playing in the sand and dipping her feet in the ocean water and Avery won’t stop hula dancing. 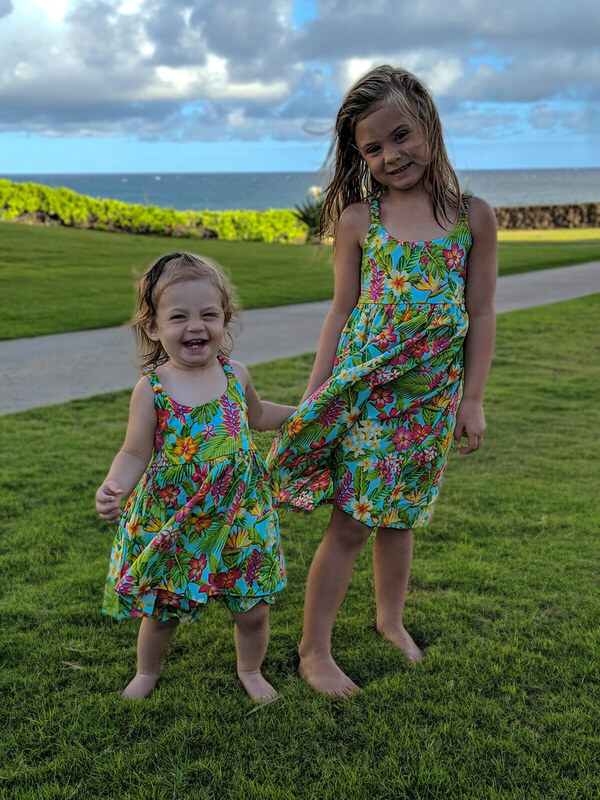 They’ve fallen in love with the Hawaii we’ve loved since our first visit there, and we all can’t wait to go back. Aloha, Kauai. We hope to see you again soon.